Eric Kriwer began his fire service career in 1988 serving in Fountain Hills, Arizona. During Kriwer’s 29-year career, he has served multiple positions in the fire service from firefighter, paramedic, battalion chief, fire marshal, assistant chief, and acting fire chief. 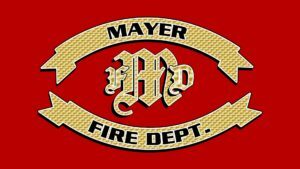 Kriwer has worked in the communities of Fountain Hills, East Mesa, Mayer, Prescott, Scottsdale, and currently serves as Fire Chief with the Mayer Fire District. Kriwer holds an Associates Degree in Fire Science, Bachelors Degree in Business Management, and is a 2011 graduate of the Executive Fire Officer (EFO) program from the National Fire Academy in Emmitsburg, Maryland. In 2015, Kriwer was credentialed with the Chief Fire Officer Designation (CFO) by the Center for Public Safety Excellence. In addition, Kriwer served as an adjunct instructor at Yavapai College and is an approved adjunct instructor for the State of Arizona. 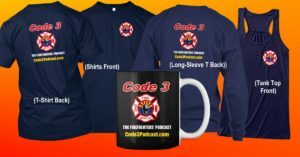 Kriwer is the current Co-Chair of the executive board for the Arizona State Fire Training Committee and has been a member in multiple associations and committees at the local, state, and national levels. Kriwer worked as the Prescott Fire Department agency administrator to the Incident Management Team assisting in providing direction during the memorial and planning for the funeral services of the Granite Mountain Interagency Hot Shots fallen 19 during the Yarnell Hill Fire. Next Post: Capt. 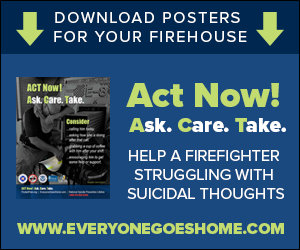 Kevin Keith, Firefighter/Paramedic, Prescott Ariz. Fire Dept.